What does self-love have to do with growing your business you may ask? My guest on the Empowered Living Show, Jennifer Escalera, shares her struggles as an entrepreneur and a new mom. We learn the secret to her success - self-love. Read on to find out why self-love is essential when growing your business. 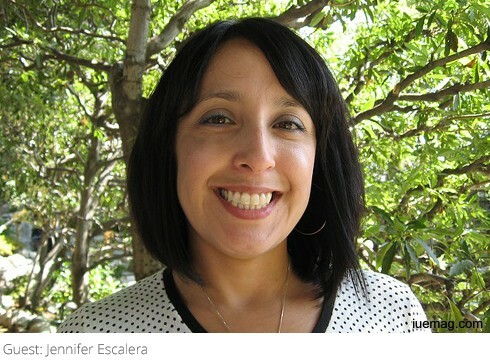 Jennifer Escalera is an Empathic Healer. She is a Holistic Therapist and Self-love Coach with a Master’s degree in social work. Jennifer’s passions are helping women to empower their lives, through meditation, intuition, self-care and crystal healing. 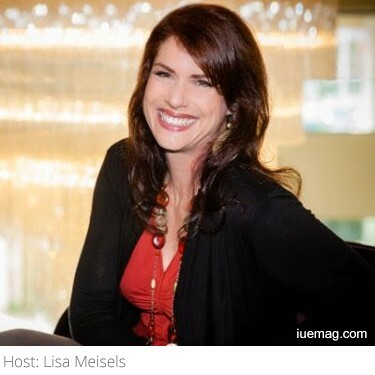 Her mission is to help women create a meaningful life with healthy relationships, fun and self-love. Jennifer found it challenging at first to stay true to herself while growing her practice as a Holistic Therapist and Healer. It was difficult for her to find balance as a new mom and entrepreneur, all while holding her independence as a woman. Like many, she experienced trials and tribulations that have brought her to where she is today. She’s been on her entrepreneur journey of transformation and gaining clarity about her life purpose for over 10 years. This is an important point because many newly established entrepreneurs think they will be able to set up a website, clients will find them and they’ll be able to quickly earn income. This is usually not the case. Being an entrepreneur is a personal journey and almost always takes longer than anticipated. Like many service-based entrepreneurs, Jennifer knew from childhood that she had a calling to help people. She was very sensitive to people’s energy and emotions and although she never realized it growing up, this would be paramount in her business. In college, she started learning how different religions and cultures practice healing which opened her up to other natural healing modalities. She began her career working with the mentally ill but quickly found out she was being called to natural healing. She had a vision of being her own boss and wanted to create her own practice where she could strive to be unique and work outside the confines of a traditional practice. Jennifer began marketing herself as a Holistic Therapist and not a Licensed Clinical Social Worker at a time when “holistic” wasn’t mainstream. One struggle she consistently faced within herself was the battle between being traditionally trained, knowing she was an intuitive healer and being drawn to the alternative holistic health world. She initially was told she could not mix the two by her state and federal associations. Eventually her local chapter gave her the green light and her drive to create the business of her dreams ensued. Over time, her practice evolved. She makes a point that she’s succeeded because she never gave up on herself, she trusted her intuition and she had faith that she was on the right track. Jennifer grew up in an impoverished, small town where most people didn’t seek higher education. She feels very lucky to be where she is in her practice today. Growing up in an underserved and underprivileged community and rising up in her business is a story she is passionate about sharing with other women in her culture. She wants women to know there is more opportunity than they might be aware of. Jennifer recommends keeping a journal close by. She explains intuition as a movement of information or a knowing. While we might be afraid to say or do some type of actionable step, she simply trusts in a higher power. Part of her intuition practice is to play and become childlike and have more fun. Following your intuition can help you grow your business. As an entrepreneur or a business owner there is a level of responsibility to be accepted. It’s important to balance the work that you must get done and having time to enjoy what it is that you’re doing. When you are doing what you are called to do, your work will feel energizing and not draining. Becoming a mother wasn’t part of her plan however she knows this baby has enhanced her vision and purpose. Seeing her child gives her more joy and more hope that she is on the right path and doing the right thing. His smile creates a sense of balance in her life. She is encouraged to success to be a role model that her child can look up to. Her traditional coaching clients and her healing clients all have the connection of self-love. She does a lot of teaching and education going beyond the cognitive level. Her clients are familiar with spirituality, energy work and holistic health so she’s able to move them beyond just the mind level to go deeper into their soul or their energy. Her clients are drawn to her because they think like her and they feel comfortable knowing that she’s licensed but also a healer. The secret is never giving up and always having a connection to some type of higher power. There must be some connection to your faith and some connection to that higher existence that is beyond your human self, that helps you to be in alignment with self-love. Self-love is a practice of surrender allowing your egoic mind to become your friend instead of having an ego to make you better than something or someone. Self-love is a humbling experience. When you love yourself, your life seems easier. When you are excited about what you’re doing in your business and you have a sense of knowing from your intuition, you can be sure you are on the right path. This creates excitement which releases creativity and that fuels your business growth. Allow yourself to play, dream and follow your vision. When you love yourself, you won’t let fear get in the way of what you’re here on this planet to do. Fear keeps you small. It keeps you stuck. Remember, every day you are evolving. Keep moving forward. It may not feel like it at this time in your business, but when you look back, you’ll see your evolution. Never give up! As entrepreneurs, there are many personal and professional challenges you'll face. We all do. How you turn your challenges into growth is up to you. Our perceived road-blocks, set-backs or failures are necessary for us to experience to learn and grow. This is simply the journey to success. If you are struggling, feeling overwhelmed and unbalanced and you want more energy to grow your business, get my Double Your Energy Checklist here!